Forever Collectibles (FOCO) introduce today the first series of Bluetooth-enabled ugly Christmas sweaters. It's never too early to prepare for ugly Christmas sweater season, and if you're a sports fan, the time is now. 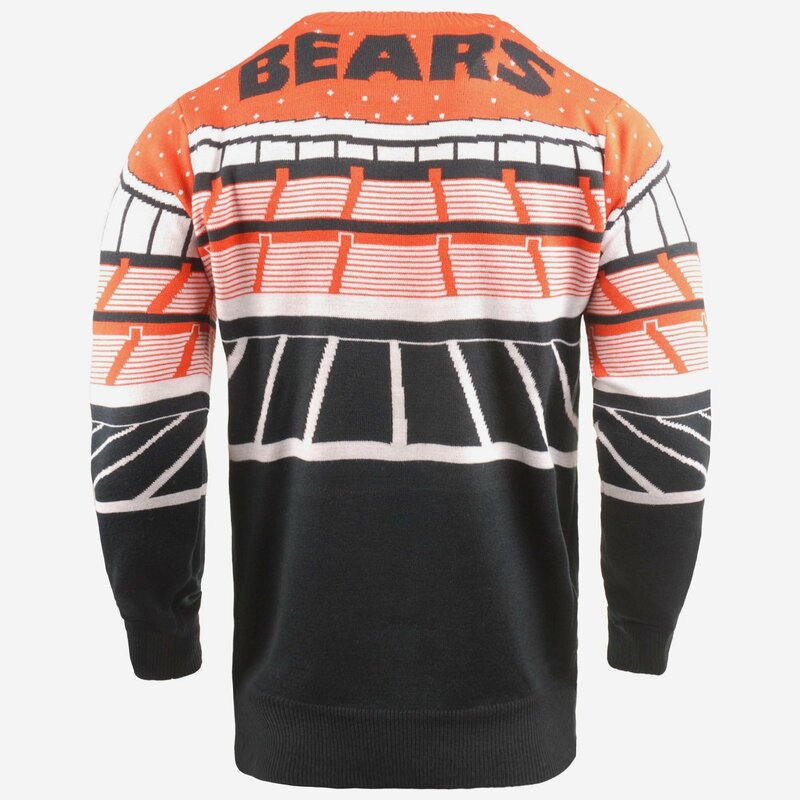 The officially-licensed knitted NFL team light-up Bluetooth sweaters for the 2018 holiday season have arrived! The sweaters, debuting this fall with the National Football League, will also be released across all major professional and collegiate sports and availability will vary by team and league later this fall. "Last season we introduced the light-up sweater and it was a huge success," said Matthew Katz, senior licensing manager. "This year we had to up the ante, and the only way to do that was to add a sound feature. 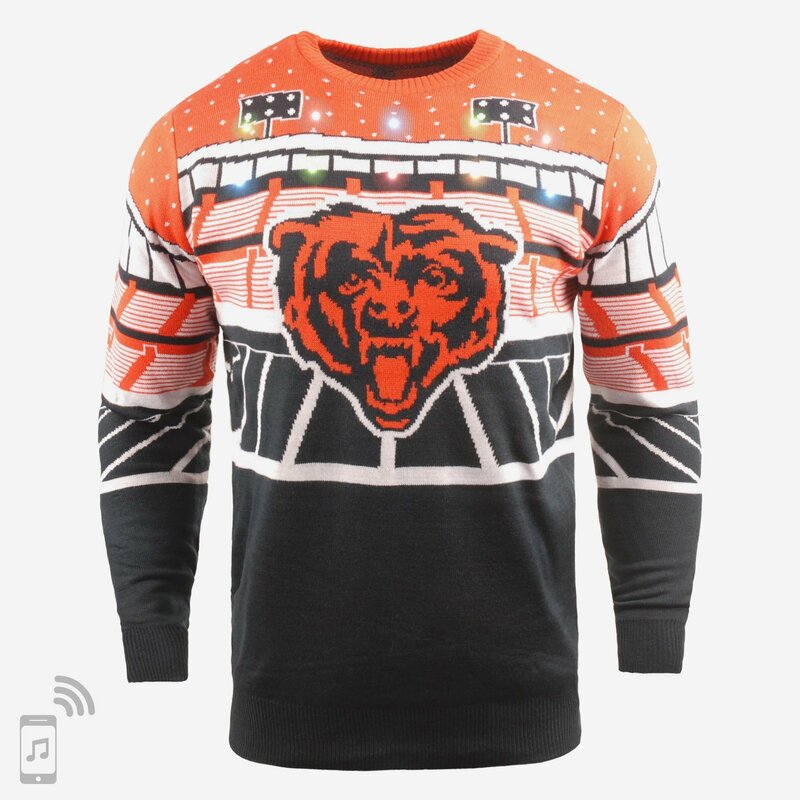 Now your sweater can literally play any sound you want it to, whether it's a touchdown celebration dance or the team's theme song. We know our sweaters now deliver the closest in-game experience to fans!" FOCO is widely regarded as one of the largest suppliers of licensed products in professional sports, offering more than 3,000 items to sports fans since 1998. Ugly Christmas sweaters have traditionally been one of the company's best-sellers in the past and with the introduction of the new Light Up Bluetooth speaker, the company stays on the forefront of the category. Compatible with both Android and Apple devices, the new Light Up Bluetooth Sweater collection includes all 32 NFL teams complete with a speaker enclosed in the bottom of the sweater powered by triple-A batteries. Sweaters light up with an additional on/off switch located on the sweater. Fans can pre-order and shop the entire Light Up Bluetooth holiday sweater collection at www.foco.com under sweaters or by team. The sweaters are available for pre-order for $89.99 with free shipping for "squad members" on orders over $100. Availability will vary by team and league.